Kindness cross stitch pattern... 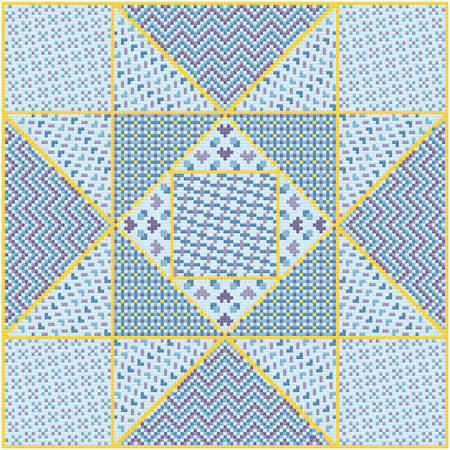 This design has the appearance of real fabrics used to make a quilt block. Each line between the different patterns is enhanced by a contrasting color. Colors may be changed. All whole stitches.